Each year, around 200 kids in Arkansas ‘age out’ of the foster care system to navigate adulthood on their own. Learn about two organizations that focus on equipping those kids with the skills they need. 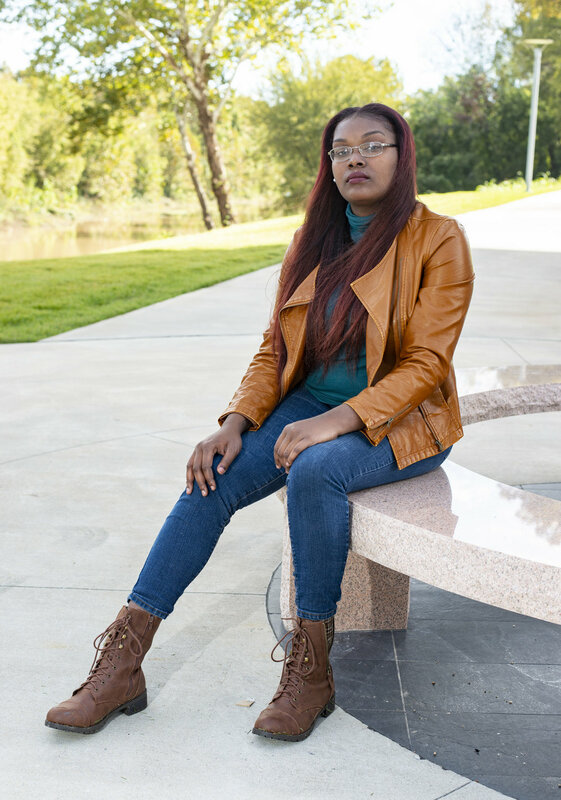 Lameikia Aycock entered Arkansas’s foster system at 16, a far cry from some kids, but by the time she aged out at 18, she’d met the national average for time spent in foster care. It was long enough for it to leave a mark. “My personal goal is just work on myself and better myself for the future so me and my baby can be happy in life and not struggle. Because I struggled coming up,” she said. According to the Arkansas Department of Human Services, there were roughly 5,135 children in foster care last year. Nationally, kids stay in the system for about two years, although that number can vary from a few days to much longer. Adoption, meanwhile, has a narrow window. According to Partners for Our Children, children 5 and under represent more than half of U.S. adoptions, while those involving teenagers make up less than 10 percent. Wade and Gina Radke are an anomaly, having decided to become adoptive parents specifically for a teenager. They adopted their son Jay in 2017, when he was 19, after years being his mentor. Gina said the motivation for adopting him was to solidify their commitment to him, something many children of the system haven’t experienced and who carry that mistrust into their adult lives. According to Adoption and Foster Care Analysis Reporting System (AFCARS), Arkansas’s “transition age youth,” those ages 16 to 21, numbered more than 1,000 in 2015. Just over 200 of these emancipated (“aged out”) from the system that year, which means having reached the oddly specific mark of 4 p.m. on their 18th birthday. Elective extended foster care is an alternative until the age of 21, and a handful emancipate before age 18. AFCARS tracks other trends for emancipated foster care kids, revealing a mixed bag of outcomes. For instance, 55 percent of former foster care kids earned a high school diploma or GED by age 19 and 74 percent had done so by age 21. That’s in line with the national average, but well behind the general population. Additionally, one in five former foster kids had experienced homelessness by age 21, a quarter had been incarcerated or had a child, and 30 percent were on public assistance. None of this is news to Eric Gilmore, executive director of Immerse Arkansas, which provides foster teens with role models and direction as they reach the age of emancipation. Immerse Arkansas and other organizations, like Second Chance Youth Ranch group home, seek to head off these outcomes by helping kids plan for living on their own. They connect youth with mentors and peers, help with goal setting and generally provide a willing ear. Lameikia Aycock credits Immerse with helping her get on the right track, but it’s still not an easy path. She doesn’t know precisely where her life will lead, even though she’s in school and positioned herself the best way she knows how. All she knows for sure is she wants to spare her infant daughter from the same experiences she had growing up. To learn more about how to become a mentor or foster parent log on to immersearkansas.org or 2cyr.org.